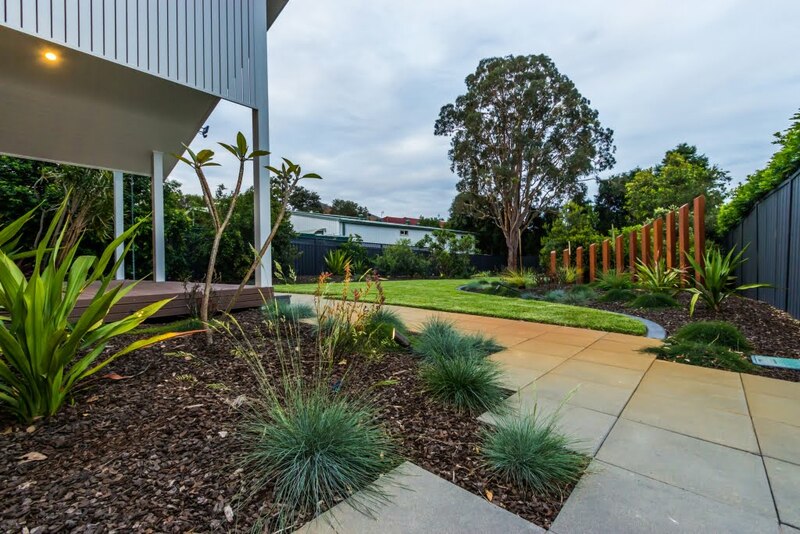 The client brief stipulated a contemporary landscape design that incorporated and transformed the front and rear gardens of this single storey brick duplex into a lush ambient sanctuary with a beautiful outlook. 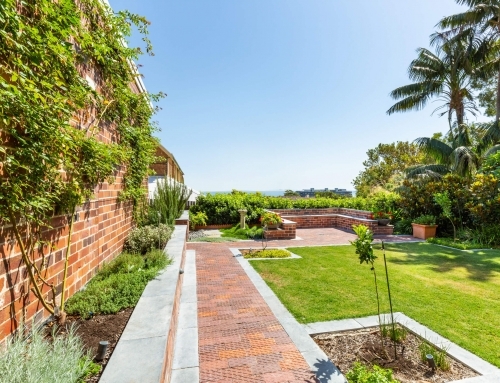 This would ensure a smooth transition to the property for the owner, who was downsizing from a waterfront home. 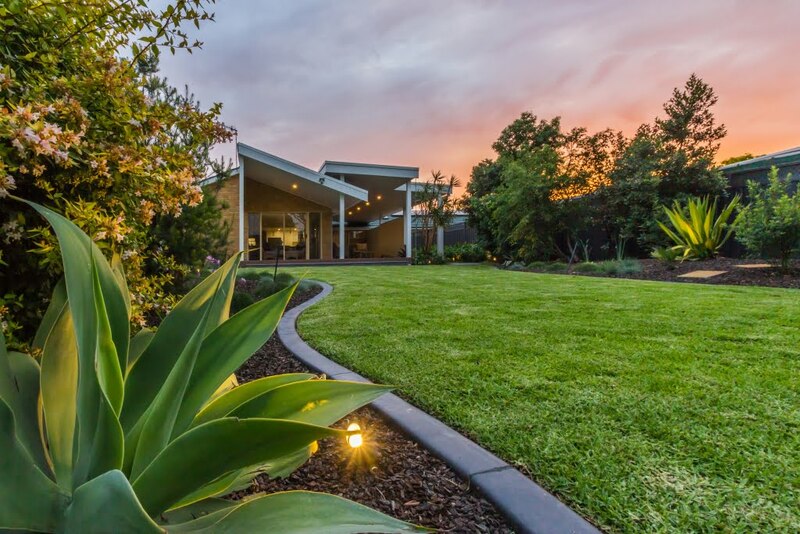 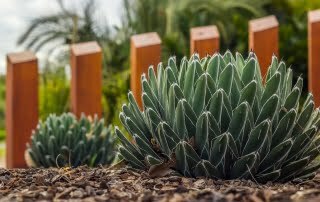 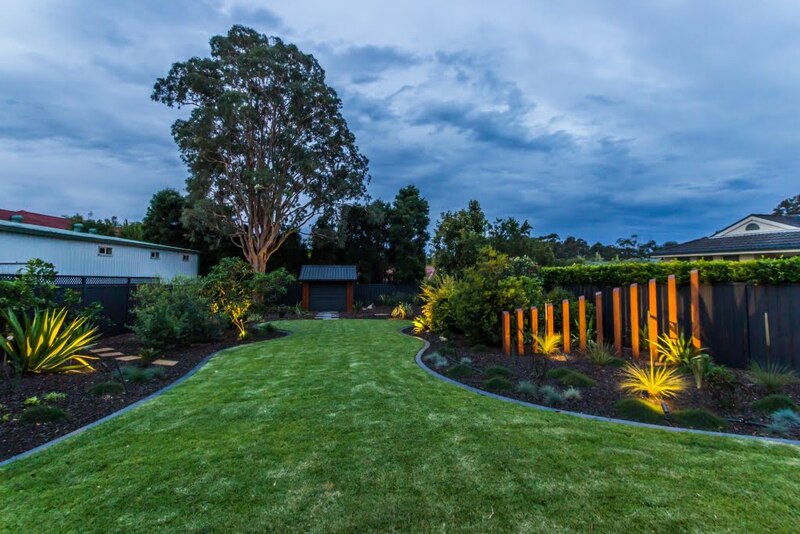 The landscape design had to result in a stunning low maintenance garden, important for the inhabitants now – and later as the property may be rented out in future. 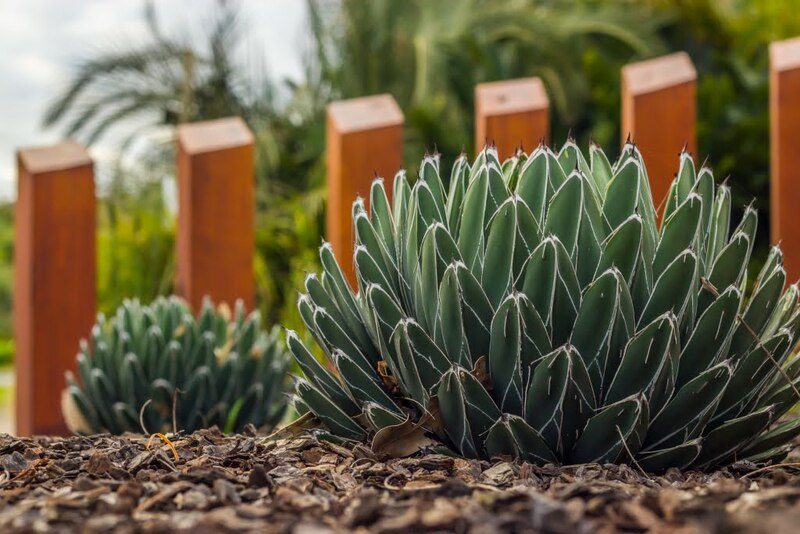 The garden also needed to incorporate low pollen producing plant species so the occupants of the property would not have their allergies aggravated in Spring! 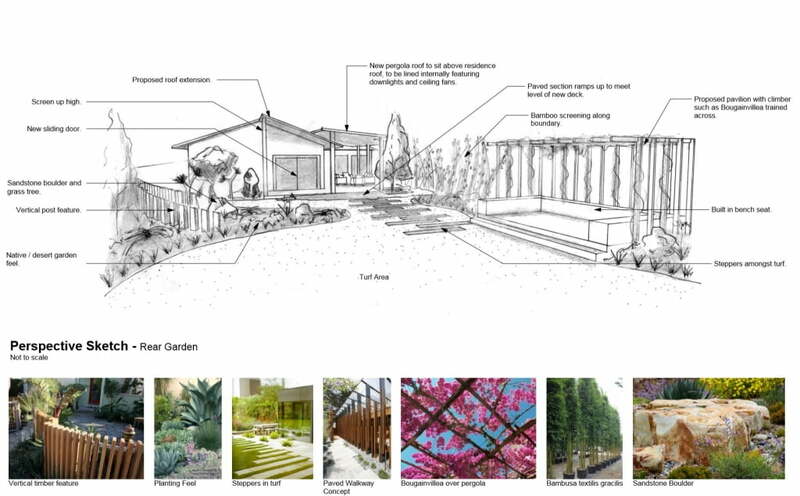 Design of a pergola / roof for the rear of the property allowing for entertaining in all weather conditions. 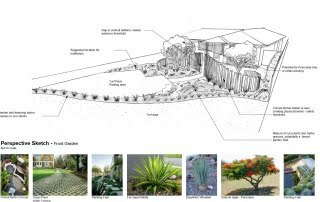 Widen drive at front to improve access. 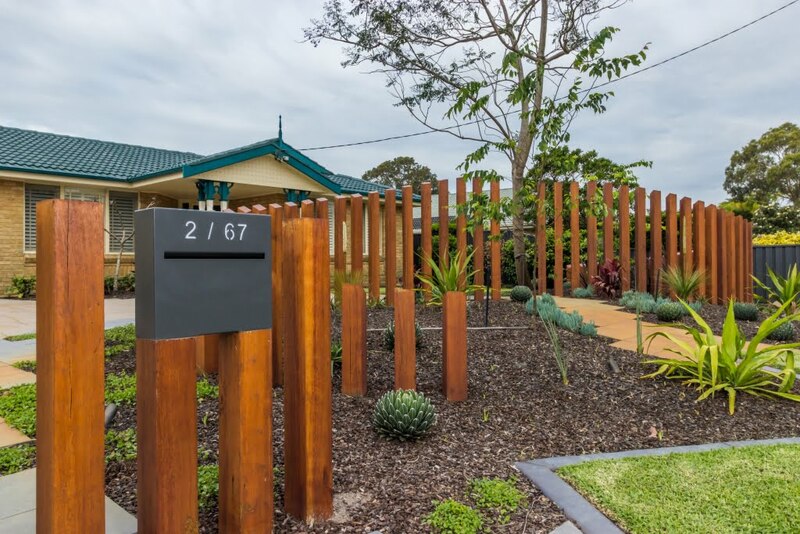 Retain car parking at front in a visually appealing way. 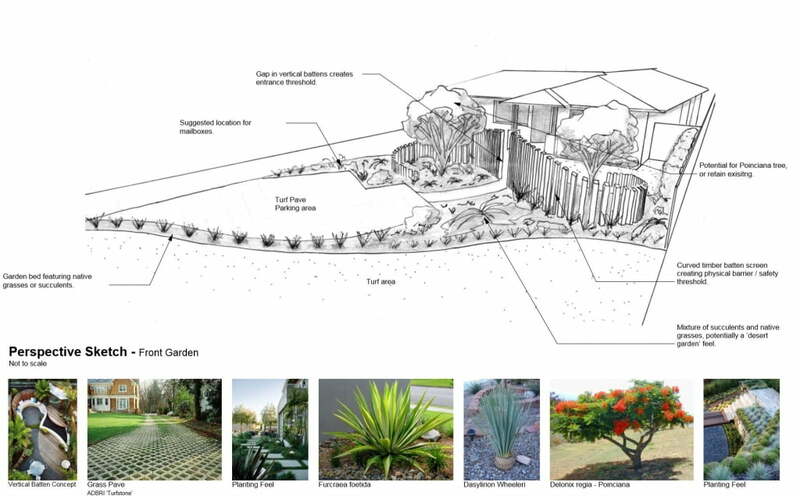 Incorporate safety in design in terms of visibility and threshold. 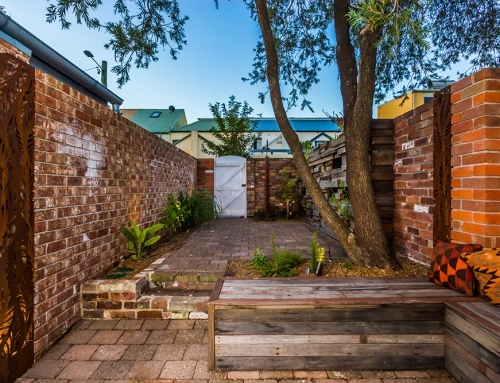 Ensure access via a side walkway. 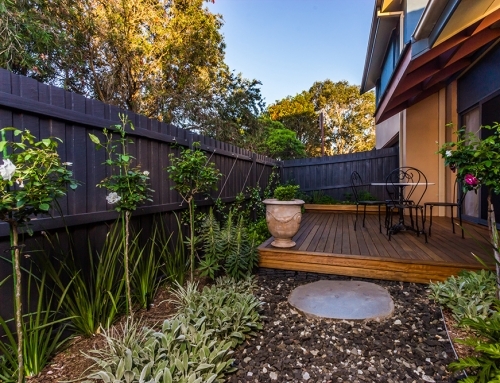 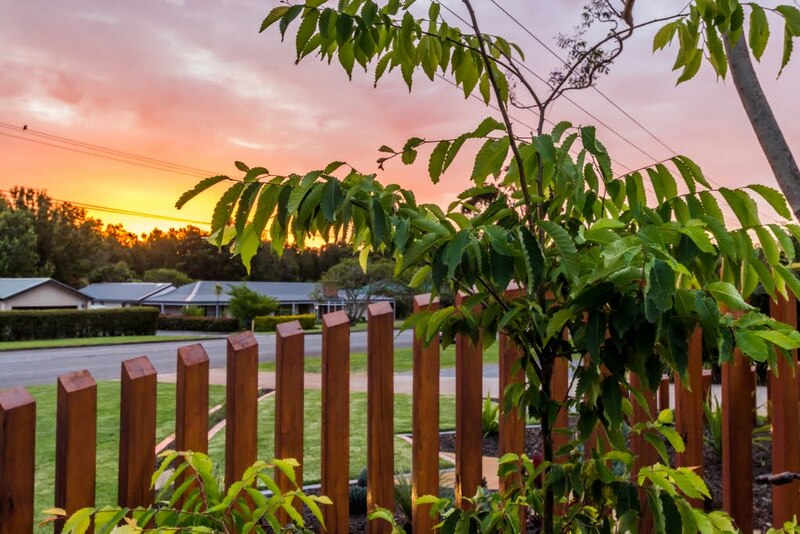 Remove large gum trees in rear garden to reduce maintenance. 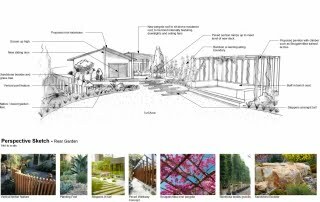 Architectural design of a stunning pergola / roof for the rear of the property, creating a new living space that fuses the inside and outside of the property. Attractive curved hardwood timber vertical batten screen feature at front and rear – linking two areas. 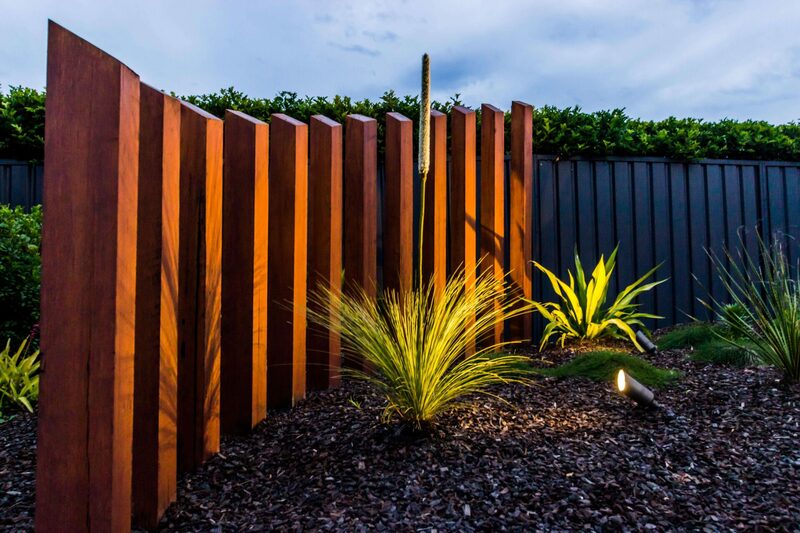 This also creates a physical barrier from the road and ensures safety. 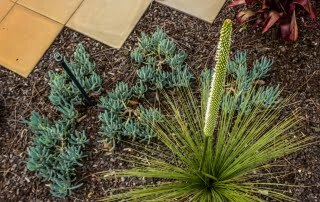 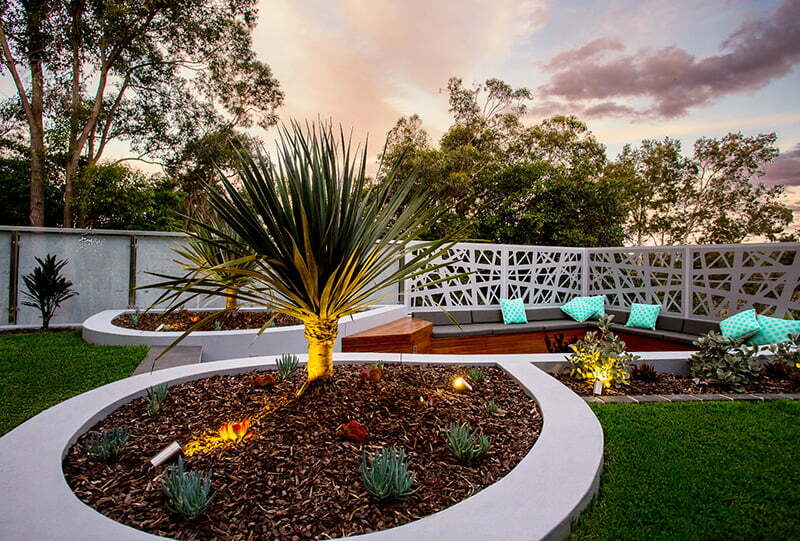 Hardy native plantings of Gymea Lily, Kangaroo Paw, Grass Tree, Blue Fescue grass and Casuarina “Cousin It” seamlessly mixed in with exotics including; Frangipani, Bamboo, Agave, and Mexican Cycad. All features in their own right, they bring a vibrant desert-feel growing together! 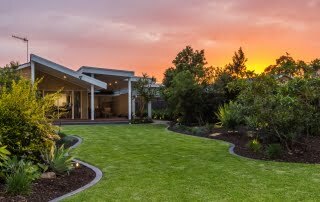 Navigating council and acquiring development approval can be challenging and this project was no exception. 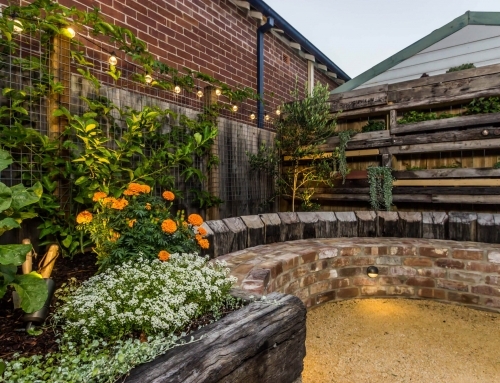 The architectural design for the rear pergola / roof was completed by MUD and construction required development approval. 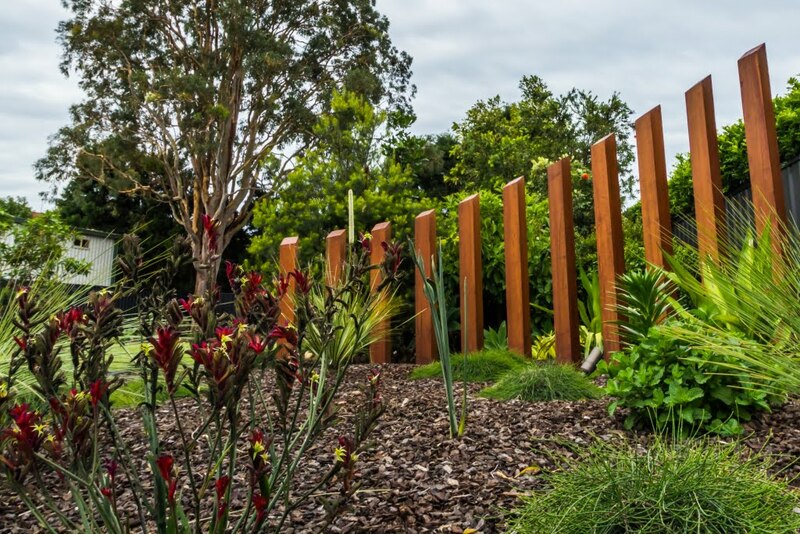 MUD managed the development application on behalf of the client, with our experience and knowledge of relevant legislation allowing us to obtain approval quickly and with minimal issues. 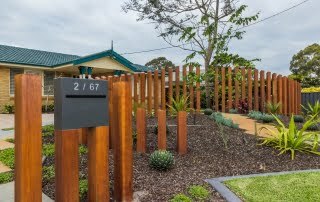 The completed front garden is visually stunning with its striking timber vertical screen feature differentiating the home. 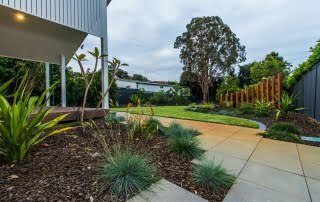 Complimented by the generous native plantings this makes for a truly unique frontage that is the envy of the neighbours! 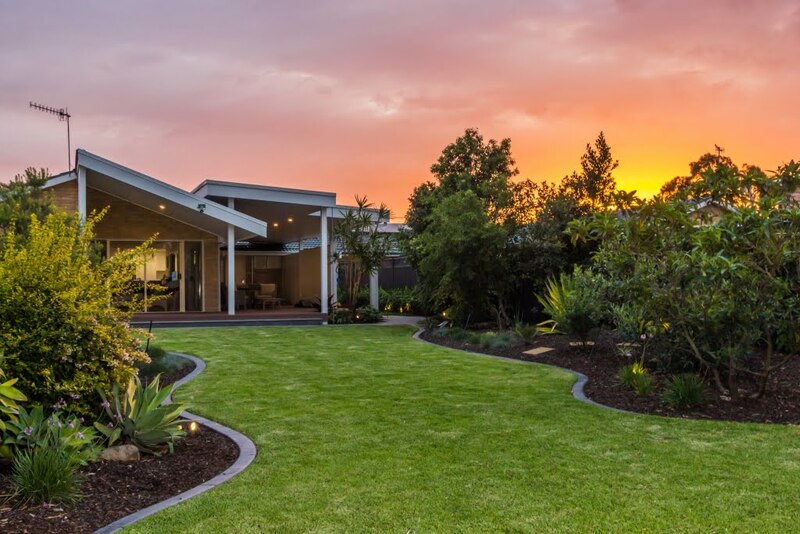 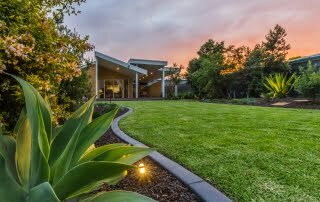 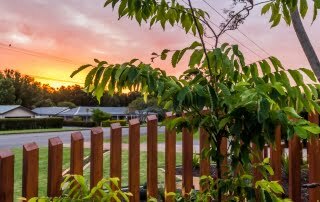 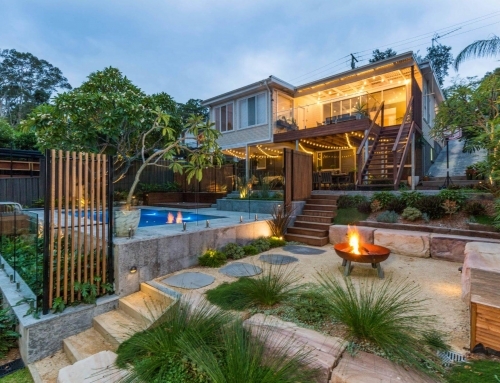 Take a short walk to the rear garden, where the fusion of contemporary design and classic lawn space is set off again by the striking timber vertical screen – creating a practical yet beautiful outdoor setting for family, friends, BBQ’s and the odd game of backyard cricket with the grandchildren! 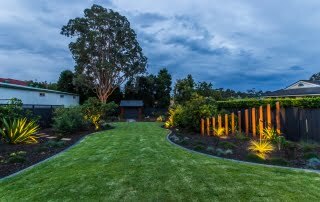 This landscape design project has improved the value of the clients property, their lifestyle and raised the standard on the street. 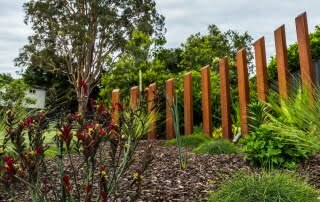 The client is delighted with the outcome and MUD has again integrated several unique and innovative design elements.